Several FIA European Rally Championship drivers were on top form at the weekend with Marijan Griebel and Nikolay Gryazin among the notable winners. 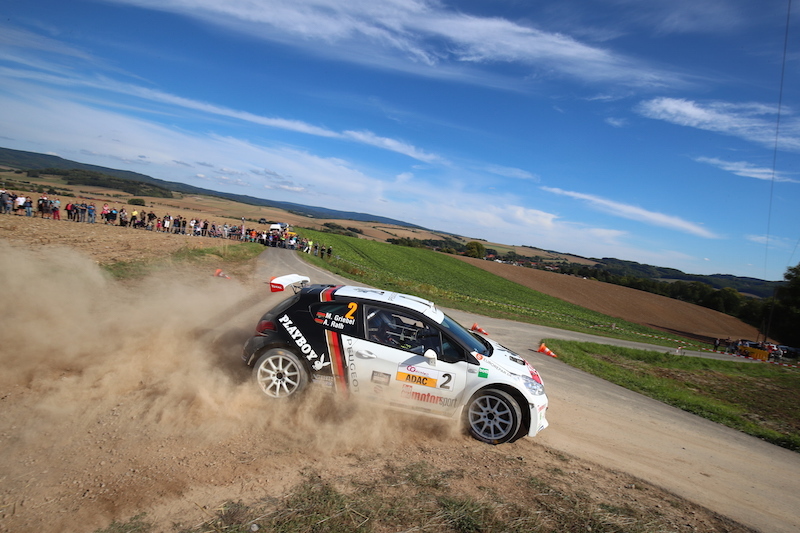 Griebel (pictured) made it two German championship wins in succession with victory on ADAC Rallye Niedersachsen, while Gryazin came out on top in the battle to win the Polish championship-counting Rally Elektrėnai in Lithuania. Rally Elektrėnai also marked ERC regular Łukasz Habaj’s debut in a ŠKODA Fabia R5. He finished sixth with fellow Poles and ERC drivers Tomasz Kasperczyk and Grzegorz Grzyb seventh and eighth respectively. In Slovenia, Petr Tĕšínský co-drove Ondřej Bisaha to victory on Rally Nova Gorica. Tĕšínský is Dominik Brož’s long-term co-driver in the Pirelli-supported FIA ERC Junior Under 27 Championship. On Rallye Mont-Blanc Morzine in France, ERC Junior Experience student Hugo Margaillan won the 208 Rally Cup in P19 overall. Catie Munnings, a regular point-scorer in ERC Junior U27, was a non-finisher following an accident on stage four.